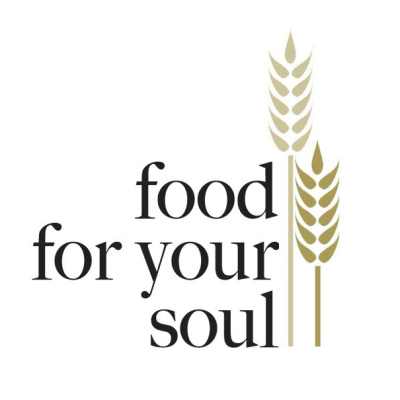 We hope this brief list of authors that we recommend and do not recommend will help give you an idea of where Food For Your Soul stands on a number of issues. Very insightful Bible expositor. Especially helpful in his teachings on the role of emotions in the Christian life and in loving God. Detailed Bible expositor whose faithfulness to the text of Scripture and depth of study makes it so even if you do not agree with his conclusions, you will learn something from Scripture that you didn’t already know in most every sermon. The father of the modern biblical counseling movement (counseling that regards Scripture as sufficient, without the need to revert to the theories of psychology and human wisdom for spiritual problems. We also recommend other proponents of biblical counseling such as David Powlison, Paul & Tedd Tripp, Ed Welch, etc. Helpful teaching in the area of home and family. Sometimes may cross the line into presenting his beliefs about home schooling as biblical right and wrong rather than as his opinions, but overall his teaching is very helpful. Also very good on racial issues. One of the most influential conservative Christian scholars of our time. He has written many very helpful commentaries and other works. Another sound, detailed, verse-by-verse Bible expositor who handles the Word with skill and accuracy. Harris’ books on dating, courting, and marriage are very good. Essential reading for any single person – especially teens. One of the greatest preachers of his generation (died in 1892), Spurgeon had marvelous insights from Scripture, a passion for reaching the lost, and an uncanny skill with the English language. Godly, insightful widow of the missionary Jim Elliot who was killed on the mission field, Elizabeth went back to those who murdered her husband and reached them for Christ. She has written several helpful books. Equivocates on essential doctrines, such as whether a person can go to heaven apart from knowing Jesus Christ. He also promotes the Prosperity “Gospel,” (Jesus never wants you to suffer sickness or poverty, and if you follow certain spiritual laws you can use Jesus to become rich). That is a very destructive and spiritually deadly doctrine. The prosperity teaching points people to earthly wealth as the great prize, and Jesus as a means of obtaining that prize. That is the exact opposite of the attitude one must have to be saved. According to Mt.13:44 the kingdom is like a treasure in a field that a man joyfully sold all that he had in order to acquire. A person cannot be a Christian unless Jesus is worth more to him or her than all the treasure of the world (Lk.14:33). Hinn teaches numerous bizarre doctrines, seemingly making them up as he preaches in some cases. Many of his false doctrines are cataloged in the Hank Hanegraaff’s very helpful book, Christianity in Crisis. Hinn also promotes the Prosperity “Gospel,” (Jesus never wants you to suffer sickness or poverty, and if you follow certain spiritual laws you can use Jesus to become rich). That is a very destructive and spiritually deadly doctrine. The prosperity teaching points people to earthly wealth as the great prize, and Jesus as a means of obtaining that prize. That is the exact opposite of the attitude one must have to be saved. According to Mt.13:44 the kingdom is like a treasure in a field that a man joyfully sold all that he had in order to acquire. A person cannot be a Christian unless Jesus is worth more to him or her than all the treasure of the world (Lk.14:33). Eldridge teaches the doctrine of Open Theism, which holds that God does not know the future. For our several other concerns about Eldridge’s doctrine see the book review of Wild at Heart in the book reviews section of the Resource Library. Jakes comes out of a Oneness Pentecostal background and teaches that the Father, Son, and Spirit are not three distinct persons. This is a heresy known as modalism (God is sometimes in Father mode, sometimes in Son mode, and sometimes in Spirit mode. But they are not three distinct persons who interact with each other.) Jakes is also very heavy into the Prosperity “Gospel,” (Jesus never wants you to suffer sickness or poverty, and if you follow certain spiritual laws you can use Jesus to become rich). That is a very destructive and spiritually deadly doctrine. The prosperity teaching points people to earthly wealth as the great prize, and Jesus as a means of obtaining that prize. That is the exact opposite of the attitude one must have to be saved. According to Mt.13:44 the kingdom is like a treasure in a field that a man joyfully sold all that he had in order to acquire. A person cannot be a Christian unless Jesus is worth more to him or her than all the treasure of the world (Lk.14:33). Joyce Meyer is a very skilled preacher and has many very helpful insights. However she is a proponent of the prosperity “gospel” (Jesus never wants you to suffer sickness or poverty, and if you follow certain spiritual laws you can use Jesus to become rich). That is a very destructive and spiritually deadly doctrine. The prosperity teaching points people to earthly wealth as the great prize, and Jesus as a means of obtaining that prize. That is the exact opposite of the attitude one must have to be saved. According to Mt.13:44 the kingdom is like a treasure in a field that a man joyfully sold all that he had in order to acquire. A person cannot be a Christian unless Jesus is worth more to him or her than all the treasure of the world (Lk.14:33). The payment for our sins was not completed on the cross, and Jesus had to be punished in hell, where He was born again. Meyer also has the Word-Faith mystical view of faith, which holds that faith is a literal force, and that words are the containers of that force, and so it is possible for us to speak reality into existence just like God did in the creation. Through speaking and positive affirmations we can create our own reality. Rob Bell is a leader of the Emergent Church movement and teaches that people can be saved apart from faith in Christ, that hell is not the consequence of unbelief, that Jesus does not save us from God’s wrath, and that homosexuality is perfectly fine in God’s eyes. Brian McLaren is a leader of the Emergent Church movement and rejects the doctrine he calls “exclusivism” (the idea that only through Christ can one go to heaven). When pressed on the question of whether all people go to heaven, McLaren refuses to answer on the ground that the Bible is not concerned with that question. He is very concerned that we not speak in terms that distinguish believers from unbelievers. McLaren has made ambiguity into an art form. He is very unclear in stating what he believes, which is part of the culture of the Emergent Church movement. That movement tends to value “conversation” and resist “propositions.” If he comes right out and states what he believes, he knows it would be rejected by most Christians as heresy. And for this reason he takes a very round about approach. Rick Warren is one of the most influential leaders of the “Seeker Friendly” movement, which focuses on increasing church attendance at the expense of a clear presentation of the gospel. Warren’s presentation of the gospel has become so shallow and vague that it has resulted in thousands of false converts – people who think they are saved but who do not even understand the gospel. Bob George teaches that it is wrong for a Christian to confess his/her sins to God, contrary to 1 John 1:9. George also teaches that who you are in Christ is unrelated to how you behave. If you avoid sin you will find that you will be happier, but whether you avoid it or not has nothing to do with your salvation. He even teaches that a person can be saved and still live his/her whole life in total rebellion against God. George takes the “Let go and let God” approach to Christian living to the extreme, urging people not to put forth effort in living the Christian life. Tony Campolo teaches that Jesus died for us because He saw our great value as ones possessing “divinity.” He teaches that “Jesus lives in everyone,” that “humanness and godness are one in the same,” and that there are some people who do not know about Jesus who are saved. Campolo believes society’s “most serious” sins are the present rate of consumption of recourses, pollution, and an economic system that is benefited by defense spending, and that the way to bring a person to salvation is to urge the person to participate in social work. Campolo believes Liberation Theology is biblical (salvation consists in liberating the poor, mainly through political activism) and defends the remarks of Jeremiah Wright, who called upon God to damn America, arguing that it is reasonable for Africans to hate America.